GOBA is the largest bicycle ride in the world with emergency and health and welfare communications provided exclusively by amateur radio. 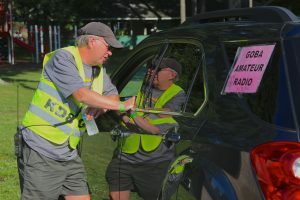 Amateur radio provides GOBA’s 1,500 bicyclists with quick access to emergency services provided by GOBA’s organizers. 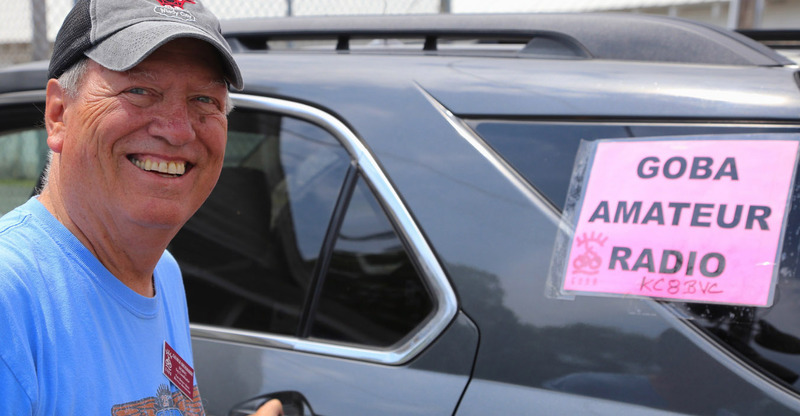 Volunteer amateur radio operators from local county Amateur Radio Emergency Service (ARES) groups and amateur radio clubs in GOBA’s host communities work hard each year to help keep GOBA riders safe. For these amateur radio operators, all of whom have passed tests to earn their radio licenses from the Federal Communications Commission, volunteering on GOBA is both a community service and an important emergency preparedness exercise. Using their technical communications skills and thousands of dollars of privately owned radio equipment, these critical volunteers use GOBA to refine their skills and improve their equipment to ensure their ability to provide emergency communications services to Ohio citizens in the case of a local, state or national emergency.